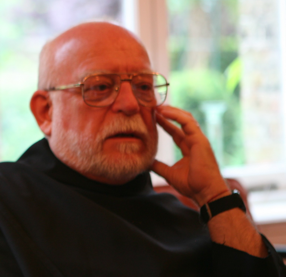 Fr Ephrem Carr OSB is a monk of St Meinrad Archabbey, Indiana, President of the Pontifical Liturgical Institute (PIL), Sant’Anselmo and professor of Eastern Liturgies both at the PIL and at the Patristic Institute, the Augustinianum, Rome. He has been editor of the review Ecclesia Orans and of the series Studia Anselmiana since 2000 and serves both as consultor for the Liturgical Commission of the Vatican Congregation of Oriental Churches and as moderator of the project Appreciating the Liturgy. During the Summer 2012 he will conduct our first research seminar, on eucharistic prayers, and with Daniel McCarthy he will present the introductory liturgical research seminar.